Wanted Plumber services? Homeserviceslhr.com offer Plumber services in Lahore city. Our Plumbers square measure adept, trained and professionals, they will do any reasonable plumbing job needed by you. 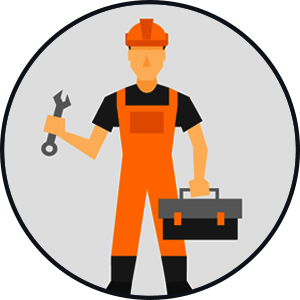 we are able to do maintenance & repair work also as tasks associated with new construction like piping (PPR, PVC, GI or rubber) and installation of water heaters, geysers, water motors, pressure pumps, bathroom seats and Plumber services etc. therefore whether or not you’re building or constructing a house, office, or an advert plaza, or transforming your property, The Homeserviceslhr.com is prepared to serve you. Our costs square measure very reasonable and competitive. we tend to conjointly provide Electrical and HVAC Services. Please see our Prices page for a full list of our Pipe Leak detection services (including additional details). a. For Non-Member clients, minimum order charges are Rs. 500. You will be billed 500 for minimum of order. b. For Non-Member clients residing, minimum order charges are Rs. 800.You will be billed 800 for minimum of order. c. Minimum charges do not apply to Members. d. Corporate & Residential Member clients are additionally given free visits as well as exclusive discounts. Please do contact us for Membership. e. The rates above are for the Labour / Service on per item basis only, and they do not include the price for parts. f. Quotations through the phone and email are free. g. We provide construction and renovation services. h. If there is some job you can’t find in the price list above, please call us and we’ll gladly give you a quote.